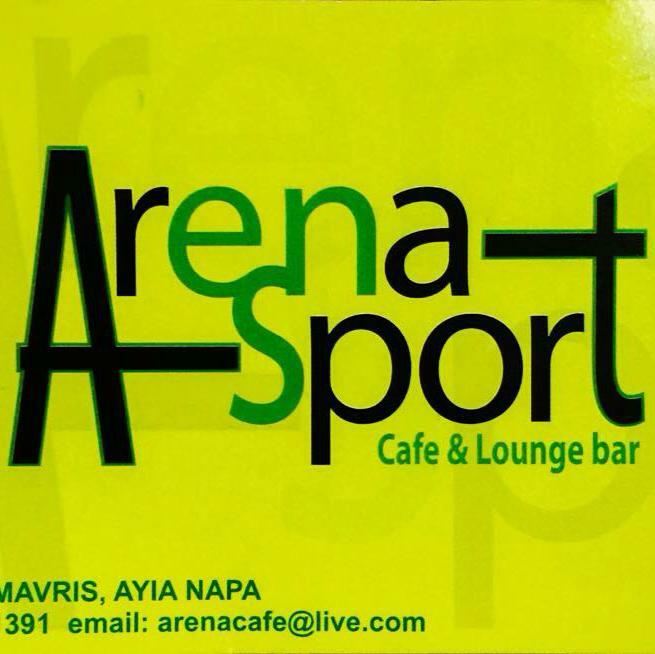 Arena Cafe is open all year round and serves breakfast, lunch and dinner as well as drinks and snack all through the day until late in the evening. 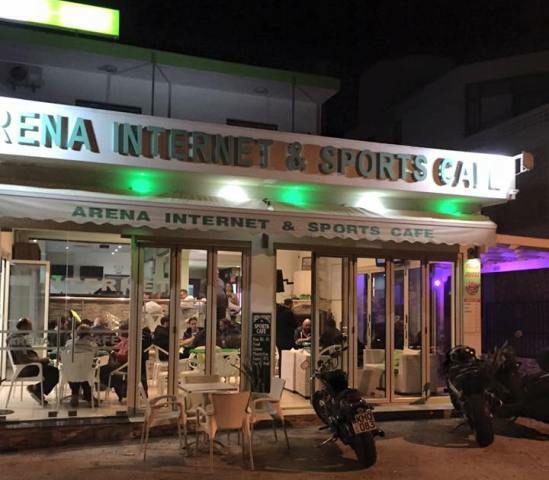 Arena Cafe is located on the main strip in Ayia Napa (Ayias Mavris) and offer high speed internet gaming, card and board games and table tennis. Arena also shows major sporting games on big screens. 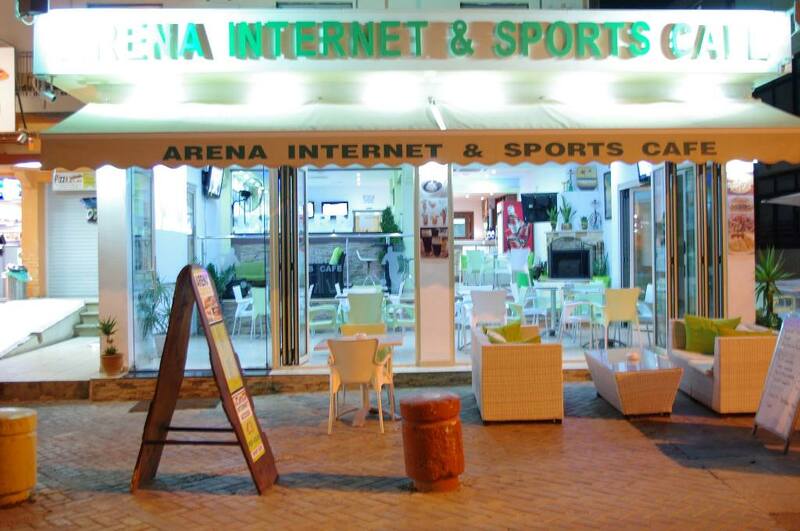 The closest hotels to Arena Sports Cafe are Maria Zintili, Myriama and Merab Suites. Other bars in the same area as Arena Cafe are Delirium Bar and White Rocks Bar.